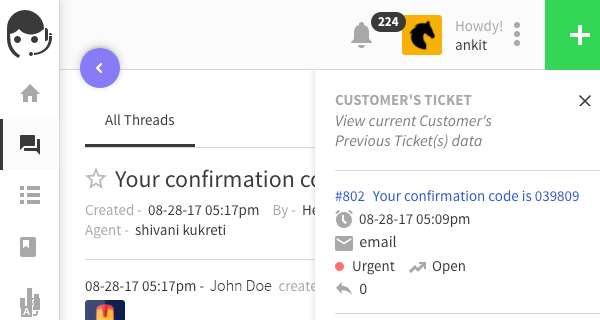 No more leaving the current ticket view just to check customer previous tickets. 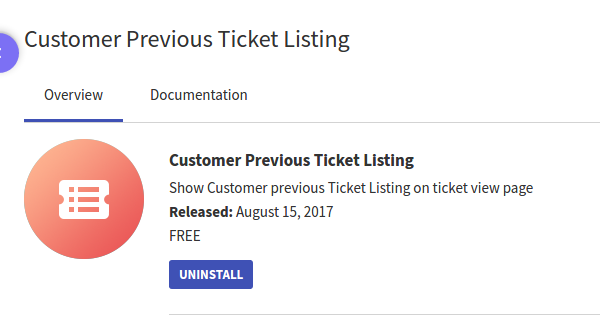 Just install Customer Previous Ticket Listing app and then you will find the icon of this app on top of every ticket view. On clicking this app icon, the support staff or the agent can see the list of existing tickets of any clients without leaving the current ticket view or opening any new browser tab.